Great center. Compact, but powerful . Verygood for audio or audio/visual playback. Have owned this since 2002 with no problems. Someone made comment that the cs400 and cs400i are identical, this is incorrect. They are the same other than the tweeter, drivers, and crossovers... LOL CS400i have much warmer, fuller tone/sound. I give full recommendation for this center. with Polk audio RT2000i towers used for the front channels also with Polk audio Rt1000i used in the rear channels , &psw 450 Polk sub I would recommend this center channel speaker to any one who like to hear all the sound of a good audio system , great for movies or if you just feel like jamming the radio in 5channel stereo mode!!!! I paid 440 at circuit city back in Jan 2002 and still sounds good!This is powered by Harman Kardon AVR 510 audio 'video reciver !!!!!??! This is the best center channel I have heard so far. I do A B test with Martin Logan, paradigm, Dunlevy, and to my surpise, this polk had a best sound. I run a lexicon preamp powered by adcom amps with Vandersteen mains. I actually have the polk cs400 center, but i just want to comment on this one too. I know that they are identical. This speaker is awesome. nuff said. I posted on the polk cs400, rti100's and the rt1000i's. All of these speakers sound great. Polk makes some of the best damn speakers around. especially in it's price class. Nothing can compare. Clean and works well with moderate system. Well worth every penny!! 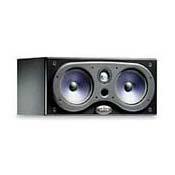 This monster by far has to be the best center channel out there less than $400. With the twin 6.5 woofers and the trilaminate tweeter it provides excelent detail and low end when it needs to. Quality is more than excellent, I sell the stuff. The only reason I'm using polk 250 subs is because I got an excellent deal through the manufacturer. I stongly recommend purchasing the Velodyne Sub 10 to 12". Polk sub 250 is not strong enough, GET THE VELODYNE I AM! I'm a sales person in Home Theater for Future Shop and have listened to many centre channels carried by us. This product is excellent, the sound is like the movie theater if not better. It is large and heavy, because of it's quality. The system that I'm running currently includes. RT 800i in the front RT 800i in the back Bipolar 300fx i in the rears a well polk audio sub in the front 250 polk audio sub in the back 250 Reciever is a Harmon Kardon 320 All cables are top of the line Masters series with gold connectors Bi amped all speakers The system just Rocks, other sales people and friends would rather watch movies at my house then the theater itself. I sell infinity, Bose, Cerwin Vega etc. I would recommend this center to everyone. It beats all the other centers made by polk. The amt of power it can handle to the options like bi-amp/bi-wiring. The difference is night and day and is a must for home theater. The voices and clean and clear and this speaker loves power to be fed to it. Designed to handle anything you can throw at it. Great for music dvds and even in stereo. I was thrown by the change in the dynamics of the whole system. Clear & crisp, imaging is precise. Mids & bass is clean & tight Lots of power & bi-wireable. Awsome center! I replaced my CS245i with the CS400i & what a huge difference, just like night & day! With the CS400i the clarity of voices in movies & music is crisp & clear. The 245 was great with my old speakers which was micro satalites. I recently upgraded my speakers form micro satalites to all Polk speakers RT600i for the front & RT35i for the rear surrounds with a PSW650 sub hoked up to a Onkyo TXDS 595. With the CS245i center somthing was missing or just not right, Voices were weak & the surrounds over powered the center. With the CS400i the voices are crisp & very clear, bass & mids are very tight & clean. I''d reccomend this center to anyone wanting an awsome center at a great price.